Raise your glass to toast hassle-free access to your favorite wine. 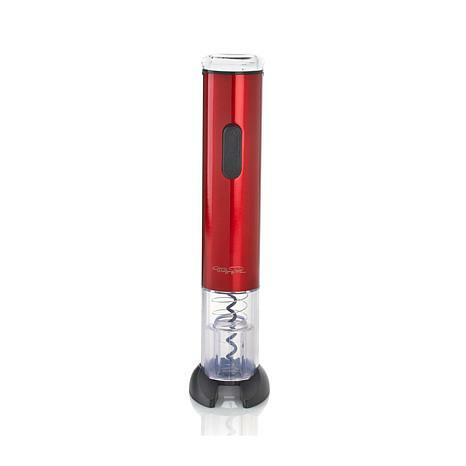 This automatic wine opener makes quick, easy work of getting to your libations. 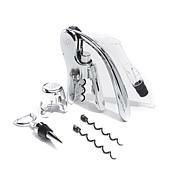 It has a built-in foil cutter and can remove any type of wine cork in seconds. Best of all, there's no cumbersome corkscrew or clumsy knives to fumble with. Cheers! Bought 2, one for me one as a gift for my friend.Works on batteries, fantastic! No charges, no cables on my kitchen counter. This is our second purchase of this great gadget. The first one lasted for 8+ years until it was dropped and broken. Very long battery life; the opener uses very little power so the batteries last a long time. Best wine opener weve ever had. Weve also given them as gifts. I have ordered 2 of these. The best Ive ever had. The batteries come with it, and last a very long time. I this item! 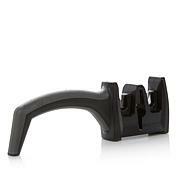 I bought this wine opener for all my children for Christmas. I totally love mine. For the first time I can open the wine with no effort. It is truly cool. My kids love theirs also. Great gift!! 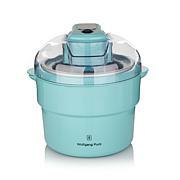 I love everything Wolfgang Puck promotes on HSN but I actually bought this.